Chance, or probably a more powerful benign force, has triggered some of the most moving and rewarding overgrown paths. But never more so than the current one, which started last year when I travelled to Marseille on the path of that cultural explorer, Sufi adept and libertine Isabelle Eberhardt. During that visit I hunted for the house Isabelle stayed at en route to North Africa, where she was to die aged just twenty-seven. 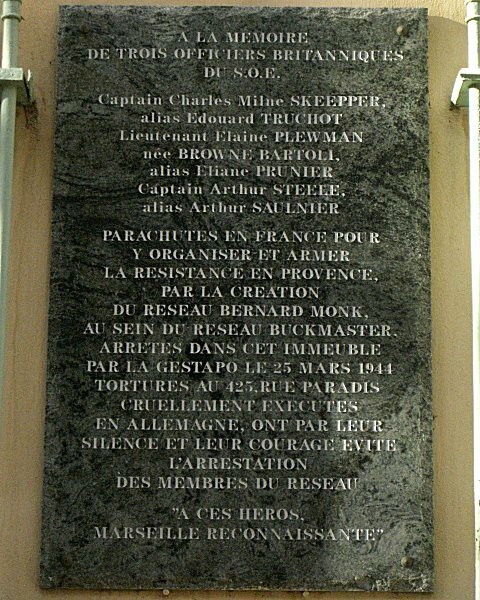 It took several attempts to locate the house where she lived with her brother Augustin at 12 rue Merentie, high in Marseille's Old Town. When I finally found the street I saw that one of the houses had the plaque seen below displayed, and at first assumed it marked Isabelle's residence. But on closer inspection the plaque proved to be next door to number 12, and was dedicated to another remarkable woman. 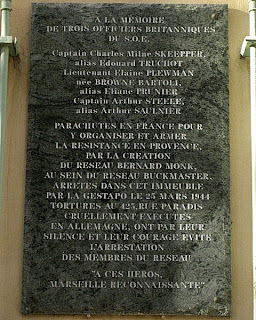 It honours the British secret agent Elaine Plewman and two of her male colleagues who were arrested in the house in 1944, and then afer being tortured at the Gestapo headquarters in Marseille were executed in Germany. That plaque was both moving and intriguing - I had no knowledge of women working as secret agents in Occcupied France, yet alone of Allied nationals perishing in Dachau concentration camp. But I was in Marseille on the path of Isabelle Eberhardt, so I filed my discovery away for further research. And what a surprise that research provided. Because it transpired that Eliane Plewman was one of four women agents of the Special Operations Executive who were killed by SS guards in Dachau in September 1944, and one of the others was Noor Inayat Khan, daughter of the Indian musician and Sufi master Hazrat Inayat Khan, and a talented musician in her own right who studied with Nadia Boulanger. This post tells her remarkable and tragic story. Noor Inayat Khan was born in Moscow in 1914, the grandaughter of an 18th century ruler of Mysore. Her mother was an American from a wealthy family; she was born Ora Ray Baker in Albuquerque, New Mexico and was the niece of an American Senator. Ora Baker (later Amina Begum Khan) met her future husband Inayat Khan at the Ramakrishna Ashram in San Francisco when he was on a concert tour of America in 1910. This tour included concerts at Columbia University in New York which predated the "discovery" of world music by Philip Glass, Brian Jones, George Harrison and others by more than half a century. 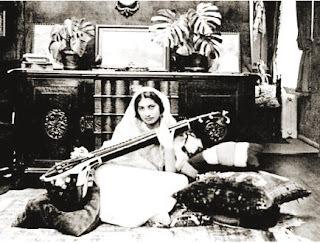 Hazrat Inayat Khan had grown up in a religiously tolerant Muslim family in Baroda, India where he became an acclaimed exponent of the veena – a relative of the sitar - before travelling to the United States to perform with his brother and cousin. In the family group below Inayat Khan is in the centre with Noor on his right. 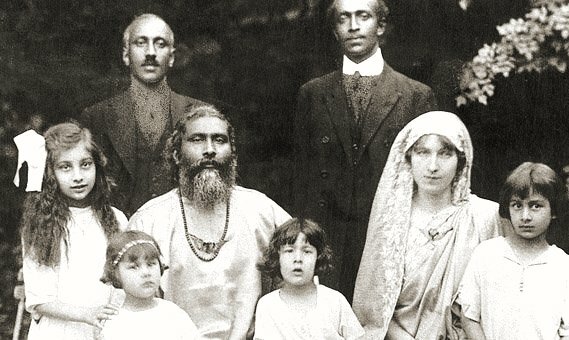 After two years in America Inayat Khan and his ensemble moved first to London and then Paris, where they benefitted from the fashion for all things all Oriental, and came into contact with Claude Debussy, Sarah Bernhardt, Auguste Rodin and Isadora Duncan. In 1913 Inayat Khan moved to Moscow where his circle included Sergei Tolstoy, son of Leo, with who he collaborated on a pioneering music fusion project. Soon after Noor was born the First World War broke out, and the Khan family moved to London where Inayat met Mahatma Gandhi and the radical Bengali poet Rabindranath Tagore, and became involved with the Indian independence movement. In 1915 Inayat Khan founded the International Sufi Movement, an order that transcends traditional religious divisions. At the end of the War the family returned to Paris and eventually settled in a house the Paris suburb of Suresnes bought for them by a wealthy Dutch adept of the Sufi order - there are many connections between the International Sufi Movement and Holland, and the only European temple of the movement is at Katwijk on the Dutch coast. In Suresnes Inayat Khan started the practice of Universal Worship, in which all religions are honoured. His vision of inclusivity was to be a major influence on the decision that led Noor to fight the scourge of fascism, a decision that ultimately cost her life. Following the death of her father in 1927 and subsequent failure of her mother’s health, much of the responsibility for bringing up her two brothers and a sister fell on Noor’s shoulders. But, despite this, she went on to study at the École Normale de Musique in Paris for six years, where her subjects were piano, solfège and harmony; her teachers there included Nadia Boulanger and she studied harp with Henriette Renié. The photos above show Noor with harp and veena. In addition to her music studies Noor completed a degree course in child psychology at the Sorbonne. During her time at the École Normale Noor had a close relationship with a Turkish Jewish piano student; although she referred to him as her financée her parents did not approve of the match which continued for several years before ending. Her brother Hidayat became a noted composer of Sufi-linked music for Western forces, while her other brother, Vilayat, eventually succeeded their father as head of the International Sufi Movement after studying at the École Normale with Stravinsky and the cellist Maurice Eisenberg. 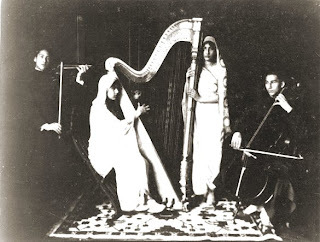 In 1934 Noor and Vilayat visited Pablo Casals at his home in San Salvador; Noor is seen in a photo below taken around this time. You made your body a bridge for others to cross. Did you not know that your life would come to an end in so doing? If an armed Nazi comes to your house and takes twenty hostages and wants to exterminate them, would you not be an accomplice in these deaths, if you had the opportunity to kill him (and thereby prevent these deaths) but did not do so because of your belief in non-violence? How can we teach spiritual morality without participating in preventive action? Can we stand by and just watch what the Nazis are doing? The family escaped from Paris to Bordeaux and fled by boat to England, where Noor and Inayat enlisted to fight with the Allies. After a period nursing she sought more active involvement in the war effort by joining the Women’s Auxiliary Air Force where she trained as a radio operator. At this time she, like her father before her, also became involved in the Indian independence movement as well as appearing on BBC children’s radio programmes as a story-teller. She showed considerable aptitude as a military radio operator, and this together with her fluency in French and English attracted the attention of the Special Operation Executive (SOE), an organisation created to sabotage the German war effort and help the Resistance in occupied countries. 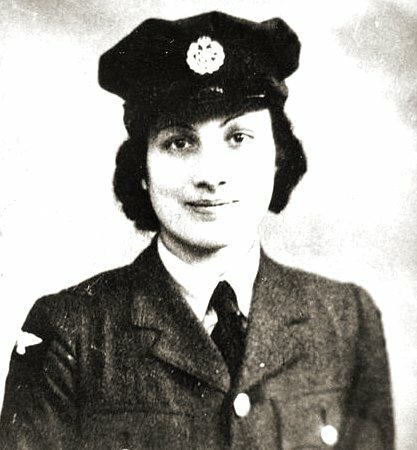 Noor is seen below in her military uniform. Noor was selected for training as a secret agent radio operator operating clandestinely in Occupied France. At the time there was a critical shortage of radio operators for the terrible reason that they were the most vulnerable of agents and had a life expectancy in the field of six weeks. For this reason she was fast-tracked through the training process and assigned to a Resistance cell in Paris, despite some reservations about her suitability for the role. 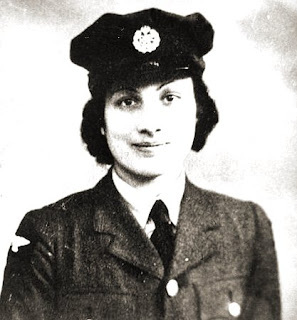 On the night of 16/17 June 1943 Noor was flown into France, becoming the first woman radio operator to work in Occupied France. Shortly after her arrival the Gestapo arrested almost all the members of the Resistance cell she was sent to work with. Because she was in immediate danger her superiors wanted her to return to France, but she declined and worked as the only Resistance radio operator in Occupied Paris. In this role she helped the escape of a number of agents as the Gestapo closed in, arranged the escape of thirty Allied airmen shotdown over France, organized arms and supply drops, and transmitted information directly to De Gaulle’s Free French headquarters in London. With other agents returned home she became the only British agent in Paris, where she worked alongside French Resistance members and also enlisted the help of her harp teacher Henriette Renié. With the Gestapo closing in on her, arrangements were made for Noor to escape back to England. But on the eve of her departure she was betrayed, probably by the sister of one of the French Resistance members she worked with. After at least two escape attempts she was sent to Pforzheim prison where she was chained hand and foot with a third chain connecting her hands to her feet, and was kept on lowest rations in solitary confinement. On September 13, 1944 Noor, and three other women agents – one of them Elaine Plewman – were taken to Dachau concentration camp. Her three fellow agents were shot immediately, Noor suffered further torture and abuse by SS guards before being shot through the head, her body was immediately burnt in the camp crematorium. 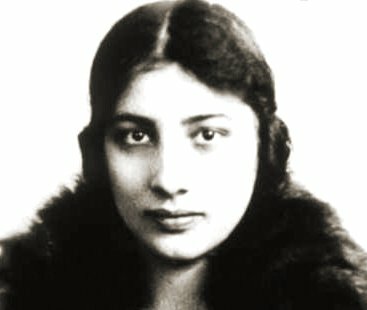 Noor Inayat Khan was thirty years old. According to General Eisenhower, Supreme Commander of the Allied Forces, the work of SOE agents shortened the war by six months. Noor was posthumously awarded a British George Cross and a French Croix de Guerre with Gold Star. 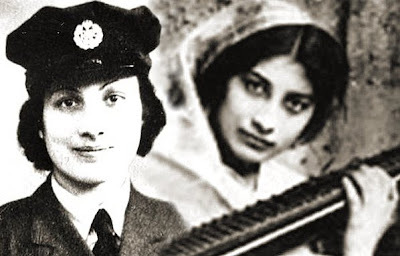 Today (November 8) a memorial to Noor Inayat Khan was unveiled in Gordon Square, London, and it is thought to be the first for an Asian woman in Britain. So the brave young woman who made her life a bridge for others to cross to freedom will be remembered, as we must also remember the three other brave young women who died with her, Elaine Plewman, Madeleine Damerment and Yolande Beekman. 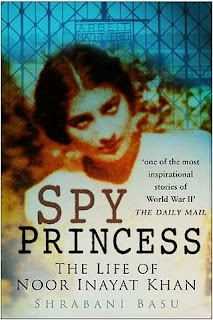 * We are fortunate to have a definitive biography Spy Princess: The Life of Noor Inayat Khan by Shrabani Basu, which this post draws on.